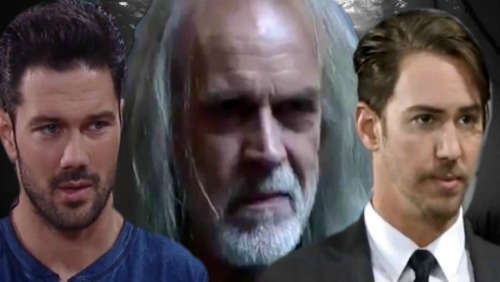 General Hospital (GH) spoilers reveal that several citizens of Port Charles will be shocked to learn that the devil incarnate, Cesar Faison (Anders Hove) has two more children that wander their streets – Detective Nathan West (Ryan Paevey) and Peter August (Wes Ramsey). The shock doesn’t end there because as of now, the men have no idea they have the same DNA coursing through their veins, but GH fans can be guaranteed that when everything is exposed, the event will be EPIC! As CDL has already told viewers, Faison’s nemesis in the script “The Severed Branch” was named Octavian, which is the name of a Roman Emperor who changed his name to Augustus – Peter August cannot be a coincidence, right? 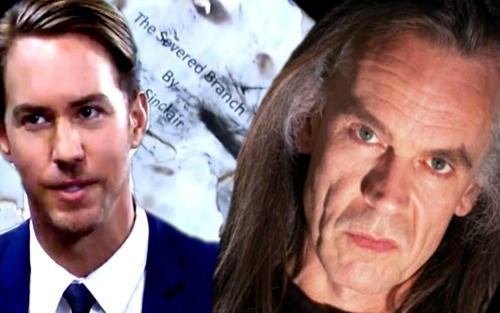 GH fans know that Nathan has nothing to do with The Severed Branch and only learned on Friday’s episode that he Faison’s son. The writer in the Faison family is definitely not poor Nathan, something Sonny Corinthos (Maurice Benard) says to Jason Morgan (Steve Burton) and Damian Spinelli (Bradford Anderson) as they re-read some of the script again. 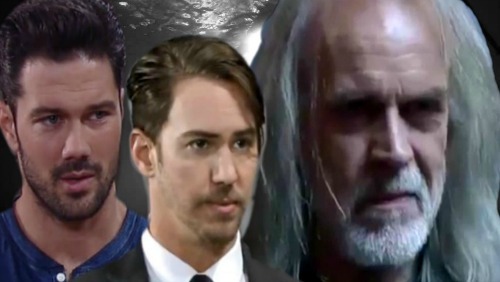 General Hospital spoilers tease that once Nathan and Peter discover that they are brothers, don’t expect the reunion to be friendly. Nathan seems to have been on the right side of the law for the majority of his life, living in a privileged lifestyle, thanks to being raised by his socialite Aunt Madeline Reeves (Donna Mills) and eventually becoming a decorated Police Detective with the Port Charles Police Department. GH sources suspect that Peter August, on the other hand, seemed to have grown up around shady characters and hasn’t exactly led a straight-laced kind of life. It is unclear whether Faison knows if Peter is his biological son, but we are certain Peter had to be in his inner circle for Faison to feel this level of betrayal and to be shaken by the manuscript. The union of the two brothers will be emotional and earth-shattering – and possible deadly! Imagine Nathan learning that not only is his father Faison, one of the most evil men on the planet, but he has a brother living right under his nose who could be worse. How would you cope with that situation? Either way, the revelation will be epic and one GH fans should not miss.